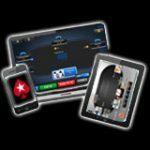 For those of you with flash enabled mobile phones running v10.1 on Android 2.2 or higher will be happy to hear that FullTiltPoker has launched a mobile version of their popular Rush poker game just for cell phones and Tablets. Full Tilt Poker Rush Mobile is a fast, action paced game that allows you to play poker on the go right from your mobile phone using your pre-existing FullTilt account, for players who don’t already have a player account at Full Tilt Poker you can merely download the latest version of the PC client and create an account or download the new mobile poker version, just be sure to use WAP as your bonus code when you make your first deposit as this will activate your FullTilt Poker first deposit bonus of 100% match of the deposited amount up to $600. 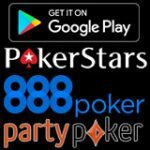 To get started playing FullTilt Rush Mobile Poker version simply enter https://mobile.fulltiltpoker.com into your phone’s browser or head on over to Android Market and do a quick search alternatively you can scan the QR code from our site below. Before you can play Rush Poker Mobile you need to create a free poker account by downloading Full Tilt Poker full version of the software, deposits must also be done from the cashier in the lobby of the PC download version. Note: Most mobile devices with 2.2 Froyo build (or higher) should support Full Tilt’s Mobile Poker app. Note: Most tablet with the 2.2 Froyo build (or higher) should support mobile poker application. If you can’t find your mobile device in the list above yet it has Flash v10.1 or higher, Rush Poker Mobile could still work on your device. Rush Poker Mobile app can also be run via any web browser with Flash v10.1 or higher from a standard PC. Next login with your account details or create a new account via the button on the Full Tilt Poker Mobile login screen then follow the instructions given after your account has been created you will be returned back to the login screen where you simply enter your account details. Please note that an email will be sent to the email address you specified when creating your account you will need to access your email account’s inbox in order to verify the account and the associated email address prior to logging in to your new account. 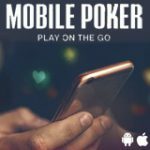 The Rush Poker Mobile game settings can be accessed via the main lobby, alternatively by sitting out for a while then clicking the Options button. Options include: Deck, Animation, Bet-Slider and Sound settings. The major difference between the mobile version of FullTilt Poker vs. the full PC client version of Full Tilt Poker is that the action buttons on the interface for Rush Poker Mobile are placed differently from the standard software plus no pre-action options are available. Both clients (Mobile and PC versions) use the same player pools so you can interchange from your PC to phone or vice versa. 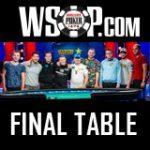 Use WAP as your FullTilt Poker referral code when depositing for the first time to activate your deposit bonus of 100% of the deposited amount up to $600. - Hand history is not available via the FullTilt mobile poker client. - Only English language is currently supported. - FullTilt Mobile is still in Beta. 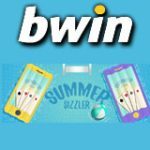 - Skyfire browser with Rush Poker Mobile is not endorsed due to account security. 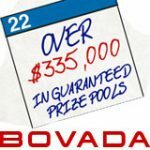 Note: At the time the above video was created, FullTilt Poker Mobile was exclusively for black card members only, now it is available for all players to enjoy.